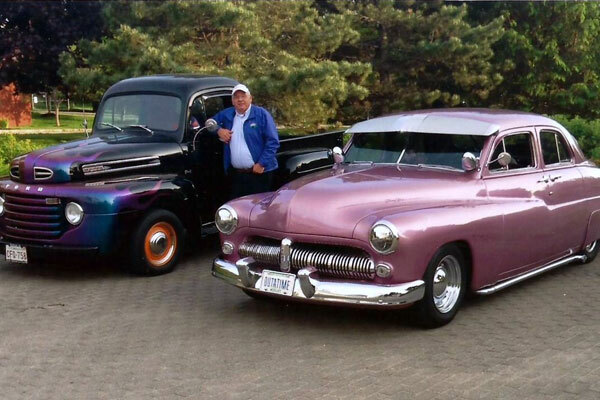 Gary has been a fan of old cars since his early 20s and soon started his first project, a 1940 Cadillac complete restoration that took three years to complete. Since then he has owned and/or restored at least a dozen vehicles. He has traveled all over eastern Canada and the U.S. to find them, to show them, and to sell them. He is a co-founder of the Valley Cruiser Car Club and has served as its Event Coordinator and President for several years. He is proud to share his passion with others and takes every opportunity to cruise the roads in one of his beautiful, memorable, vehicles.